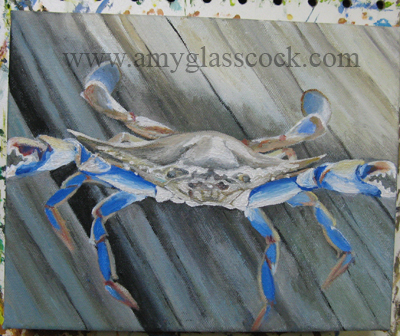 Next I am going to paint a blue crab that I caught while fishing in Rockport, Texas. I am fascinated with wood grains lately... it will be wood in the background. 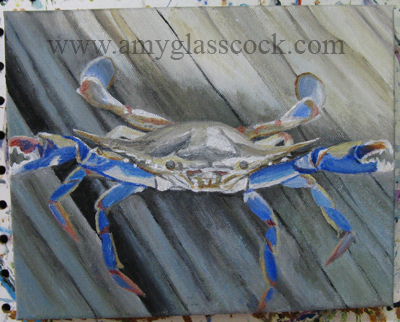 I also like the pretty colors on the crab. 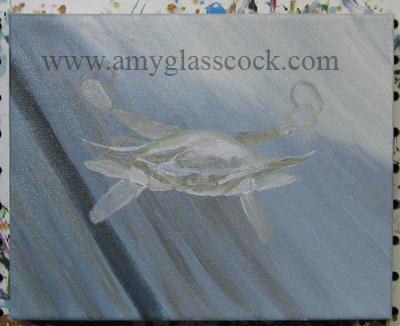 I started with the background today. 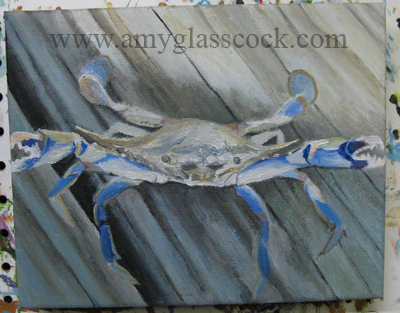 I tried to add in some browns and start the crab but it is way too wet to make much headway. I will try again in a couple of days. I started adding Mr. Crab. I'm still trying to get the proportions of everything correct. 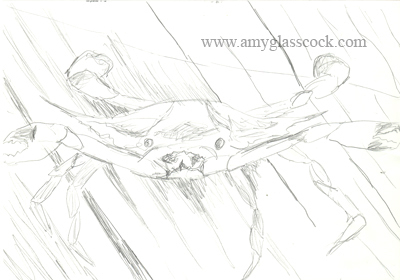 I also started shading the crab more and I added the eyes. 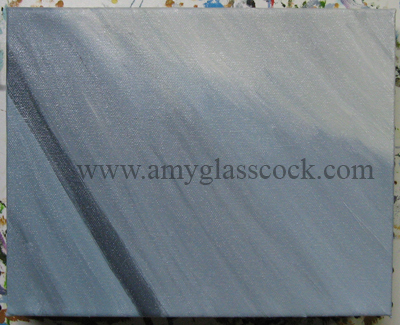 I added more dark grays/ contrast to the wood today. 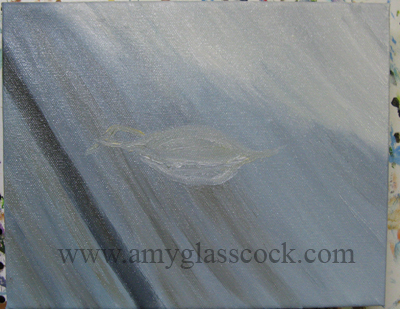 I also added some light yellowish browns. I changed up the legs some today and added white to the arms. 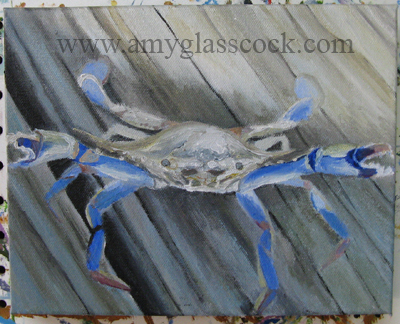 I worked more on the crab legs today. Added lots of reds and oranges. 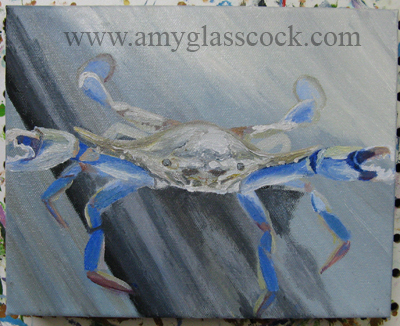 I worked on the crabs head more today. I tried to get rid of some of the harsh contrasts up there. 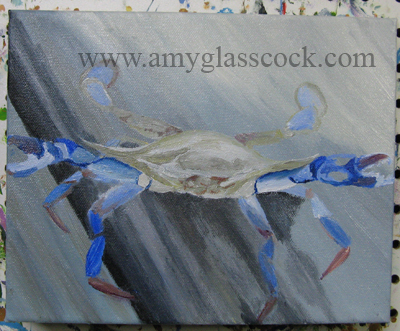 I also added some cerulean blue to the legs which seems to work better. 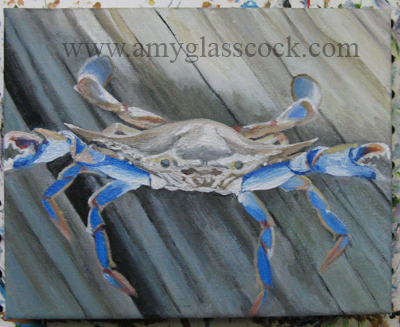 I worked on his face and claws more. Almost finished!